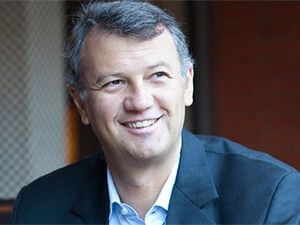 Snapplify continues to innovate in the education market in SA and the greater African continent, says Michael Jordaan. E-book and e-learning start-up company Snapplify has raised expansion capital from existing funder AngelHub Ventures, as well as new backers in SA and the UK. This will enable the company's continued growth into new markets in Africa. AngelHub Ventures is the investment firm of former First National Bank CEO Michael Jordaan and the Paul Harris family fund. After an initial investment in the e-book retailer early last year, they have been joined by NuState Capital, as well as a UK-based investor who are both looking forward to optimistic developments in Africa for this second round. The start-up did not disclose how much it raised. "Snapplify continues to make important innovations in the education market in South Africa, and the greater African continent," says Jordaan. "Their model is one that we are incredibly proud to support." Snapplify has seen massive growth over the last 18 months - expanding its offices across the African continent from Cape Town to Johannesburg and Nairobi, as well as establishing a staff presence in Europe. The growth capital will be used to expand more aggressively into new markets. Snapplify's digital education solutions are offered to schools, colleges and universities that are striving towards digital learning and the use of e-books in the classroom. It aims to give students digital access to everything they need to learn, and empowers teachers to embrace blended learning and teaching methods. "We're looking to change the way students access content," says Snapplify CEO Wesley Lynch. "Digital learning is about more than just using e-books. We want to empower teachers to be using video, audio, apps and other interactive media in the classroom environment as well - while keeping it within one simple and easy to use learning ecosystem." After conducting one of the largest technical and vocational education and training e-learning rollouts in SA this year, Snapplify has been appointed to work with the Gauteng Department of Education to roll out e-learning to schools. This will see Snapplify being used in classrooms across Gauteng. Additionally, the company is working with local hardware providers to distribute e-learning materials to Kenyan schools, in what is the largest e-learning intervention by any government in Africa, it claims. "The Kenyan government's mandate to provide one laptop per child in Kenyan schools has propelled the opportunity for digital learning forward," says Peter Mugo, Snapplify's Kenyan representative. "We are excited to be involved in the future of digital education in Kenya."